Well today I'm going to make answering that question easy for you. All you need to do is follow the steps listed in this goal setting guide. But before we begin, let's review why it's important to set goals in the first place. 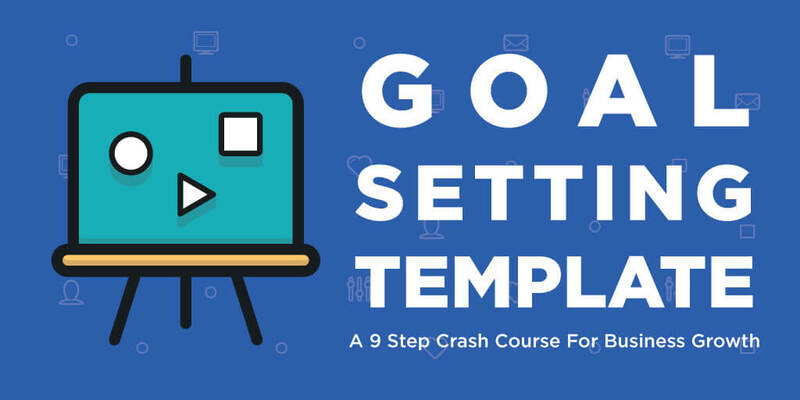 Free Bonus: Download our 9 Step Crash Course to Goal Setting as a PDF. Easily save it to your computer or print it for reference anytime. The most common time waster in business today is losing sight of what you set out to accomplish. In fact, there are many people trying to do online marketing without any idea of what their goals are. According to an article written by Ashley Feinstein on Forbes, “Why you should be writing down your goals,” in 1979, the Harvard MBA program conducted a study where graduate students were asked about their goals. The results of the study were as follows: only 3% had written goals and plans; 13% had goals but they weren’t in writing and 84% had no goals at all. Ten years later, the same group was interviewed again and the result was absolutely mind-blowing. The 13% of the class who had goals, but did not write them down, were earning twice the amount of the 84% who had no goals. The 3% who had written goals were earning, on average, ten times as much as the other 97% of the class combined! This study looked at earnings as the quantifiable measurement of success. This is a great example of why creating clear, written, measurable goals is an important key to your success. Have you ever thought about how difficult it would be to purchase a plane ticket to a specific destination if you didn’t know where you wanted to go? The same applies to the future of your business and the success of your inbound efforts. Without setting clear goals, it’s difficult to know exactly what you want to accomplish. But before we can set marketing and sales goals, we will first need to determine your overall business objectives. To make this process easier, I’ve created a free Goal Setting Template that you can use to set your business goals. 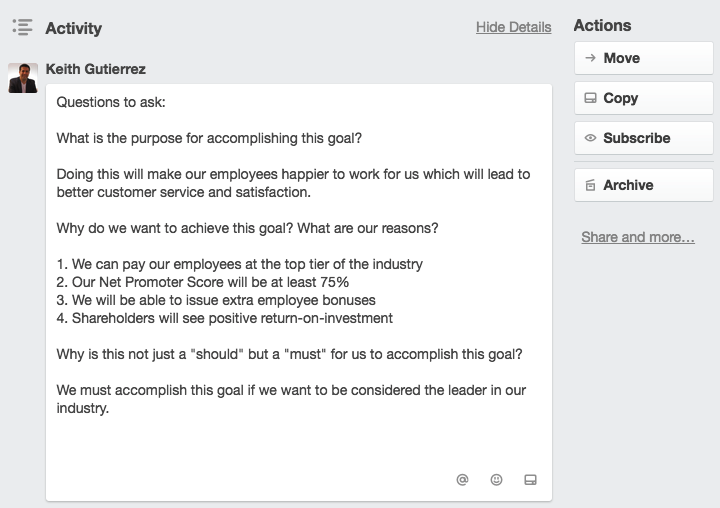 This Goal Setting Template is made using a free tool called Trello. Feel free to use it, or copy the steps below to the medium that works best for you. Under each heading, write down the goals that your team would like to achieve to answer each question. Your team should be very relaxed about this, just allow your minds to flow and try to come up with at least 6 to 10 ideas for each category. Don’t worry about a lot of details at this point and don’t spend a lot of time describing these goals. When your team is satisfied with the list of goals, read through the list one more time and then beside each item, write the number of years that your team believes it will take you to achieve that particular goal. It’s best to round off the numbers into 1 year, 3 year, 5 year or 10 year categories. Put an (S) which stands for short-term goals next to any immediate business goals that your team may have — those that will take less than a year to achieve. Then create another list called Short-Term Objectives and move any goals with an (S) by them to this list. These are items that are within reach and can be accomplished in less than a year. When you’re finished entering in all the time frames, move the goal cards into time frame groups and organize them by level of importance. There should be a fairly balanced distribution of all the goals. Keep working with your team on the list until you’ve create a more-or-less even distribution. Review with your team and ask what’s really important, compared to what might just be somewhat fun. Choose 4 goals from each of the 4 time frames (1yr. 3yr. 5yr. 10yr.) These will become your 16 main business goals. After your team has established their 16 main business goals, your team will want to go back through them and organize them in order of priority. Write beside each of them either an A, B or C.
A Goals – Something that is really exciting and of which the accomplishment might change your entire business. It’s something that your team would really like to achieve. B Goals – Something that your team would really want to achieve and that you would enjoy achieving and it’s important, but not quite as important as an “A Goal”. Organize the remainder of your list in the same way. So far, you’ve only discovered your goals in short-hand fashion. But now you’re going to start seeing them very clearly in your mind’s eye. A goal is a great motivator only if there is a powerful purpose behind it. What is our purpose for accomplishing this goal? Why do we want to achieve this goal? What are our reasons? Why is this not just a "should" but a "must" for us to accomplish this goal? Encourage your team to let their emotions run free. The emotional quality of purpose makes the sustainability of accomplishing these goals much more powerful. A great way to do this is by using emotional triggers words that will really motivate your team to accomplish these goals. Think about words that make your team crazy with excitement. What words make you really want to do something? Write down the answers to these questions inside the goal card for each of your main 16 business goals. If you can’t find at least one clear and convincing reason for each of your main 16 goals, you'll want to do some serious re-evaluating. You may have more whims or pipe dreams than real goals and now is the time to make that discovery. Now that your team knows what the desired outcomes are and why they are important to your business, it's time to create a "Massive Action Plan" (MAP) to determine how you will accomplish these goals. You'll want to start with your "Major Definite Purpose", then use the same process to create a "MAP" for your remaining goals. To begin, let's assume we have a 10 year goal to generate $10 million in annual sales revenue. Note: We are using a monetary example because it easy to follow. This does not mean that your MDP needs to be or should be monetary. First sketch a timeline that includes specific milestones on how you plan to accomplish this goal over the given time frame. Year 1 - Generate $250,000 in annual revenue. The reality is, things change and adjustments will need to be made along the way. Trying to make everything perfect in this step would most likely be a waste of time. However, it is most important to make sure everyone on your team feels comfortable with the forecast and they feel the goal for year 1 is realistic and attainable. Now you'll want to sketch a timeline for your remaining 3, 5, and 10 year goals. Just skip over the 1 year goals, we will address those in a moment. Your time line sketches will provide you with a detailed overview of all the 1 year goals your team will need to consider. Next you'll want to further outline your goals for year 1. Now let's suppose that we were selling a product that generated $2,000.00 in revenue with each sale. Notice that the more near term, the more detailed your planning efforts will be. That's because it's difficult to focus on goals that will take more than 90 days to accomplish. When it comes to setting SMART goals, 90 days is the the perfect time frame. It's not too short to make progress and, it's not so far away that you end up losing focus or interest toward achieving the goal. Source: Hubspot "How to set your SMART Goals in HubSpot"
SMART goals are great, but I don't recommend going through the trouble of making all your goals SMART. Instead, only use the framework on goals that can be accomplished in 90 days or less. 1. The SMART goal setting framework can be limiting, especially with the concept of goals needing to be attainable. When you start goal setting you really should dream big, without limitations or constraints. 2. It can be a waste of time and resources to try to plan more than 90 days out. In most cases you'll end up needing to adjust or completely redefine the goals based on the data and results collected from your near-term efforts. Now that we covered SMART Goals and when to use them, let's dive into how to create them. Let's suppose we are currently averaging 5 sales per month. To accomplish our goal we need to average 3.5 more sales over each of the next three months. The list above provides us with insight into what we need to do, and the exact lag measures we will need to reach to accomplish them. What we haven't figured out is exactly how we plan to reach these goals. To do that we need to adjust our mindset to focus on behaviors that will drive our desired results. Now let's take a closer look at our goal for Month 1: Generate at least 3 additional product sales, 8 total sales in the month. The question we need to ask is: "How will we accomplish this goal?" Inspired by the 4 Disciplines of Execution, the goals listed above are our Wildly Important Goals (W.I.G.s) for our sales and marketing teams this month. If you're a small team that is responsible for running the everyday business operations, marketing, sales, etc., you should only focus on accomplishing up to 2 W.I.G.s at a time. If your team has separate department heads, then each department can focus on accomplishing up to 2 W.I.G.s at a time. 2 for marketing, 2 for sales, etc. The next question we need to ask is: "Who is responsible for accomplishing this goal?" 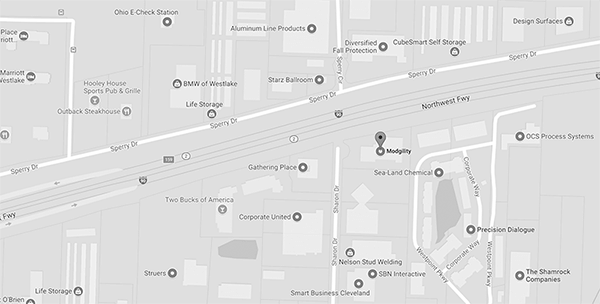 Let's zoom in on generating 1 new product sale through our inbound marketing efforts. To do that, let's say that we average a 25% close rate for SQL-to-Customer conversion. With this data at hand our marketing team will be required to generate at least 4 new Sales Qualified Leads (SQLs) and the sales team will need to close at least 1 product sale from those 4 SQLs. Now let's look specifically at how our marketing team will generate at least 4 new SQLs. Let's say our inbound marketing efforts currently yield an average of 16% Marketing Qualified Leads (MQL)-to-SQL conversion rate. Based on this data, we will need to generate 25 new MQLs from our inbound marketing efforts. Next let's drill down at how our marketing team will generate at least 25 new MQLs. Suppose our inbound marketing efforts currently yield an average of 10% lead-to-MQL conversion rate. Based on this data, we will need to generate 250 new leads from our inbound marketing efforts. Now let's look at how our marketing team will generate at least 250 new leads. Let's presume our inbound marketing efforts currently yield an average of 5% visitor-to-lead conversion rate. Based on this data, we will need to generate at least 5,000 new website visitors. Pause, take a deep breath.. I know, we've uncovered a lot of data. Is our SQL-to-Customer conversion rate too low? How can we do better? Is our MQL-to-SQL conversion rate too low? How can we do better? Is our Lead-to-MQL conversion rate too low? How can we do better? Is our Visitor-to-Lead conversion rate too low? How can we do better? Suppose that we would like to improve in all of these areas but our team has the most confidence in our conversion rate staying at 5%. This means that our main goal for our inbound marketing efforts is to generate a minimum of 5,000 visits over the next 3 months. Say we just checked our analytics dashboard and our site is currently generating 3,000 visits per month. Then we analyzed our last 3 recently published blog posts and found each post we publish is averaging 1,500 new visits. We also find each of these posts have generated at least 5 high quality inbound links, and over half of the page traffic is coming from these link referrals. Did the light bulb turn on? Now we know exactly what behaviors we must focus on to drive the desired results. The activities listed above are the Lead Measures that must be met to reach the desired Lag Measures. The desired result of meeting our Lead Measures should be the accomplishment of our W.I.G. : 1 new product sale through our inbound marketing efforts, as long as our conversion rate stays the same or get better. "All of this is great, but how do I keep my team motivated and engaged to accomplish these goals?" Even though you have clearly defined SMART goals and an effective plan, your team won't play at their best unless they are emotionally engaged. This only happens when they can tell if they are winning or losing. The best way to do that is by keeping a compelling player scoreboard. You'll want to get everyone on your team involved that is associated with the desired W.I.G. Work with them to brainstorm ideas on how to best showcase the desired results vs. the current performance. Decide where the scoreboard should be located. Make it easily visible to the entire team. Finally, determine who responsible for keeping it up to date and, how often it will be updated. Here's a great example of a scoreboard for lag measures that is built-in to HubSpot's Marketing Software. The HubSpot Marketing Dashboard will also allow you to set specific goals for each month and then compare your results directly with your goals for visits, contacts, and customers. We've created this handy scoreboard for tracking your W.I.G., Lag and Lead Goals. You can print one for each day, or each week depending on how frequently you want to analyze your progress. Click on the image below to get instant access to the downloadable PDF version. Remember, if you're not keeping score you're just practicing. Now that we've designed a game plan that's clear and effective, without consistent accountability your team most likely will not give their best effort to the game. 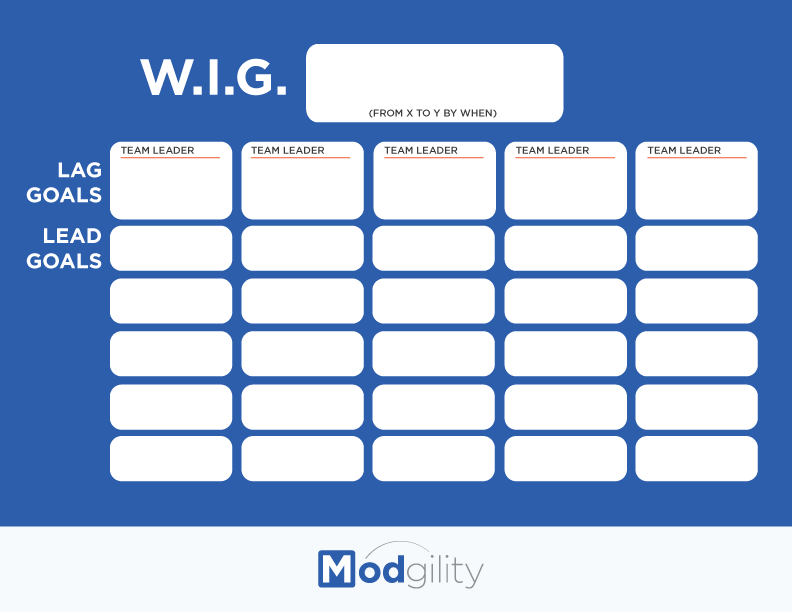 The best way to hold your team accountable is by conducting a weekly W.I.G. session, where your team can learn from their successes and failures. Hold the W.I.G. session on the same day at the same time each day of the week. Meet standing up in a quiet communal space if possible. Keep the sessions brief 15-20 minutes in length. If you're using the scoreboard template we've provided above, have the person responsible for updating the scoreboard bring it to the meeting to review the teams process each week. You'll want each team leader to report on last week's commitment. Make sure they state the commitment and state the outcome. Work with your team to find ways to remove any obstacles and propose any new commitments necessary to raise the lead measures to the desired levels. 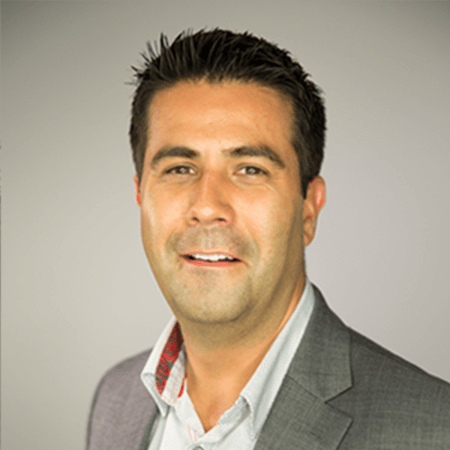 I hope you enjoyed this guide on how to set marketing and sales goals. And now it's time to hear from you. What do you think of the goal setting guide and the free templates? Or maybe there was a bit of goal setting advice that I missed.